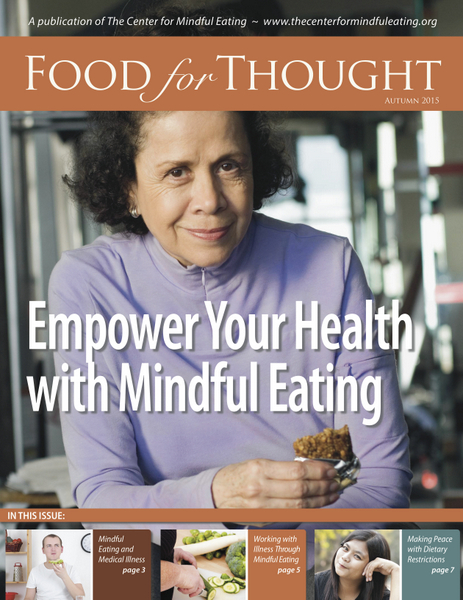 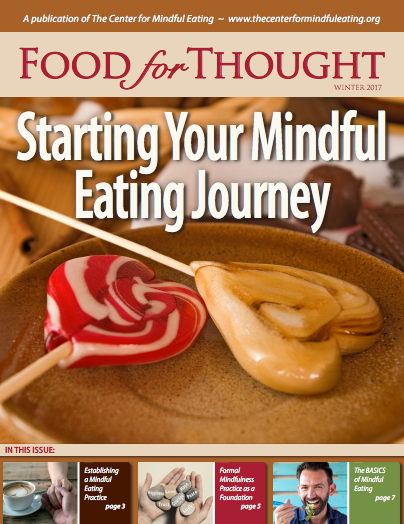 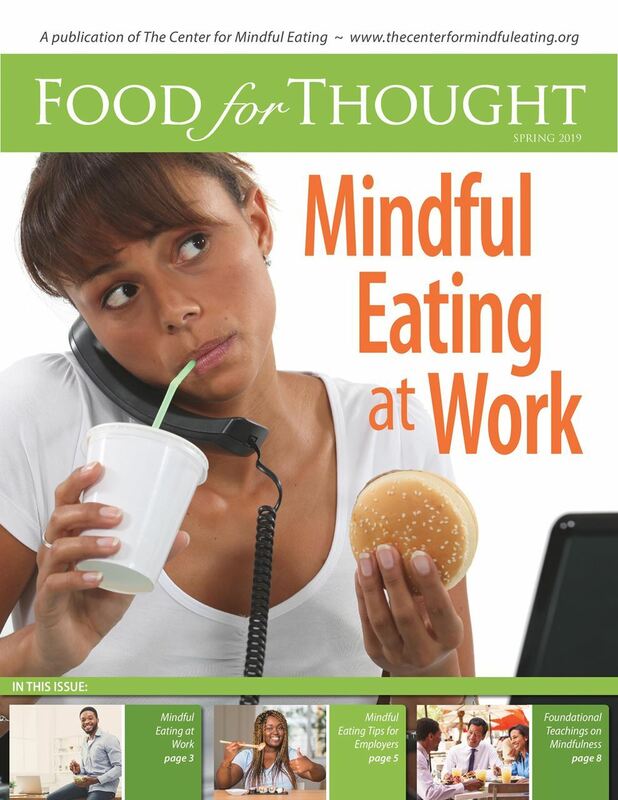 Food for Thought is our quarterly journal for mindful eating professionals. 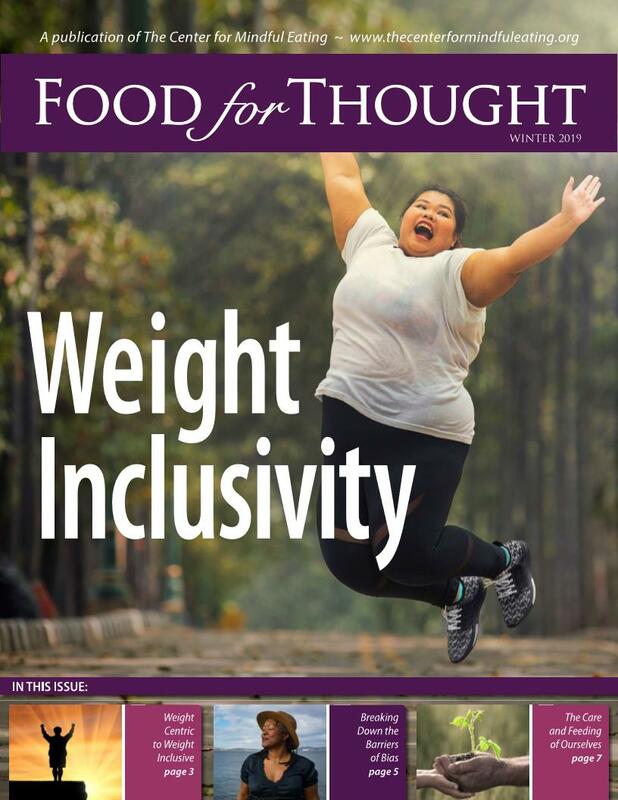 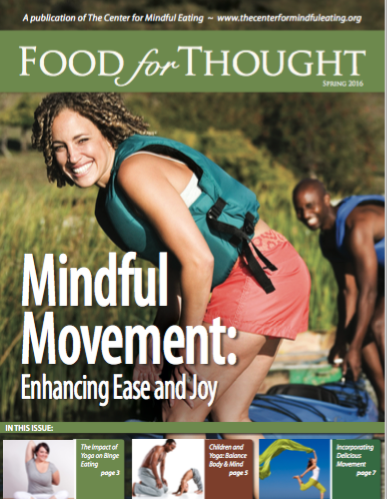 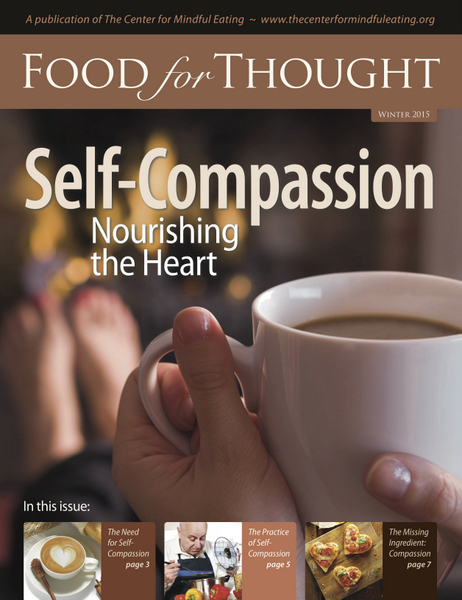 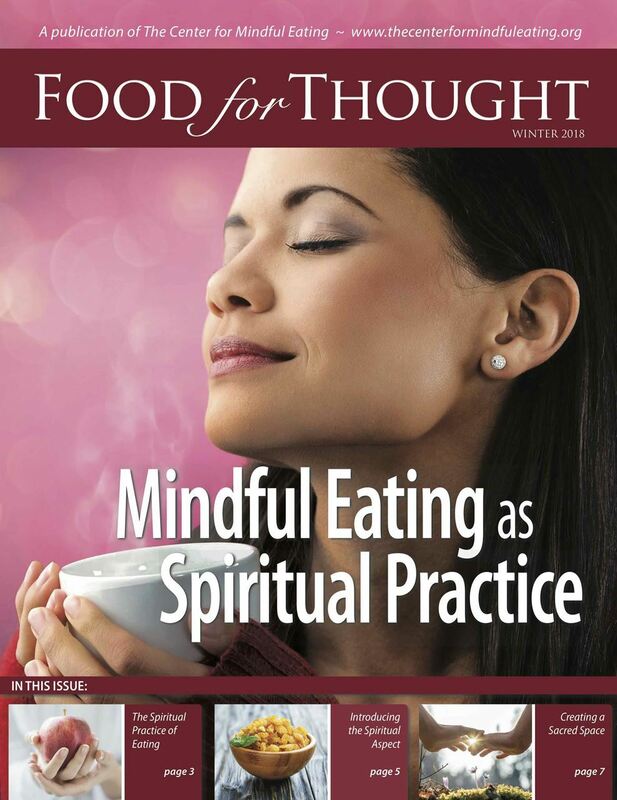 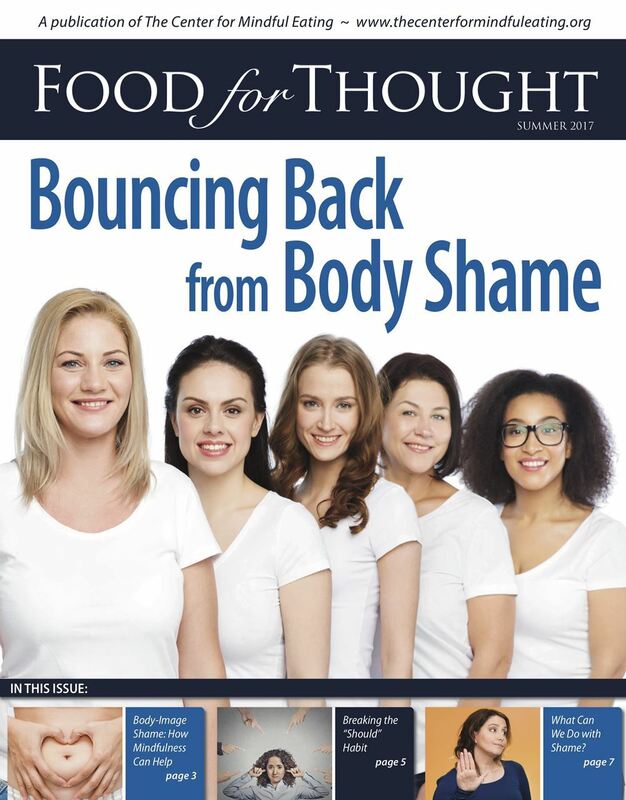 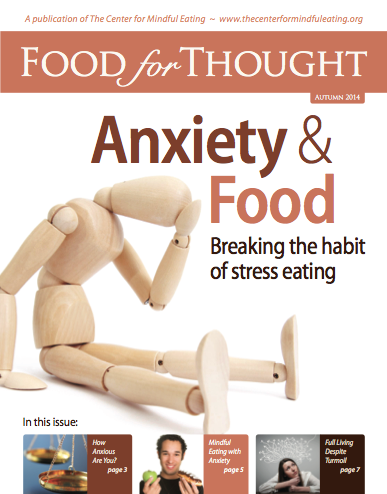 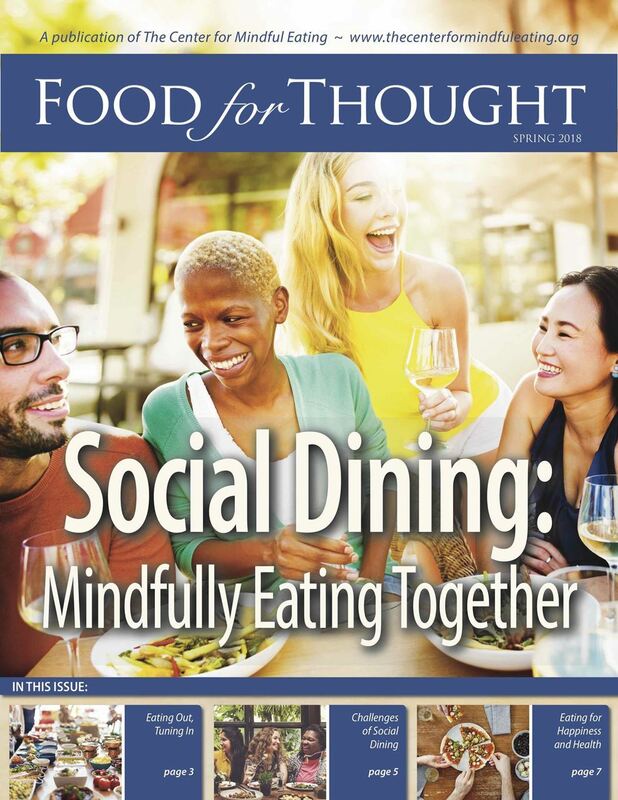 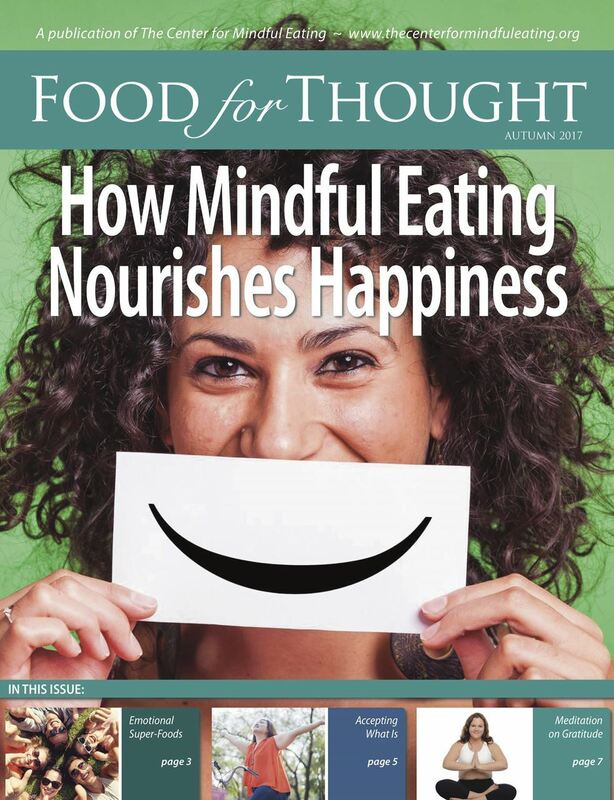 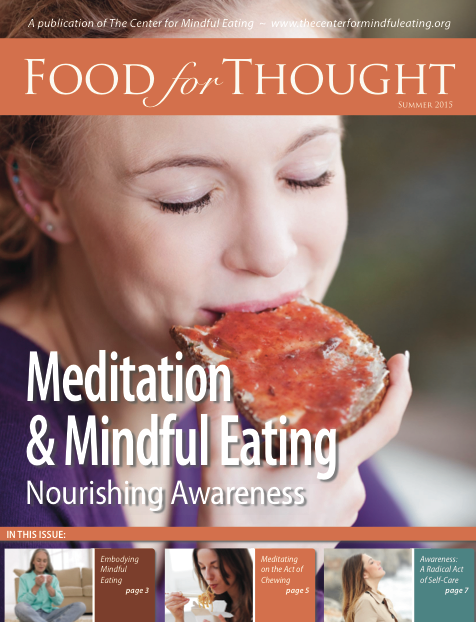 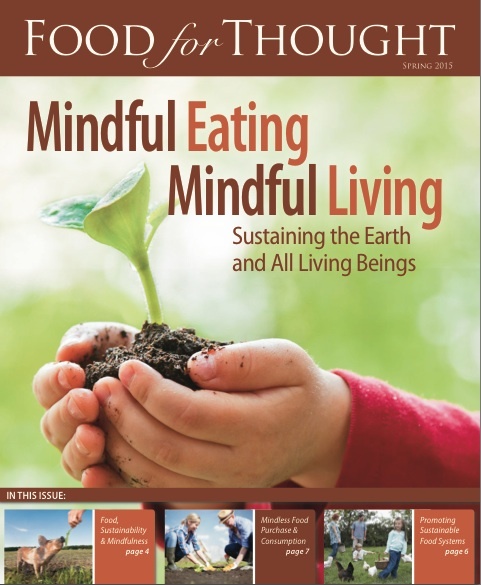 Each issue of Food for Thought contains articles focusing on a mindful eating topic, an educational handout for clients, and either a scripted meditation practice or further exploration of the philosophical roots of mindful eating. 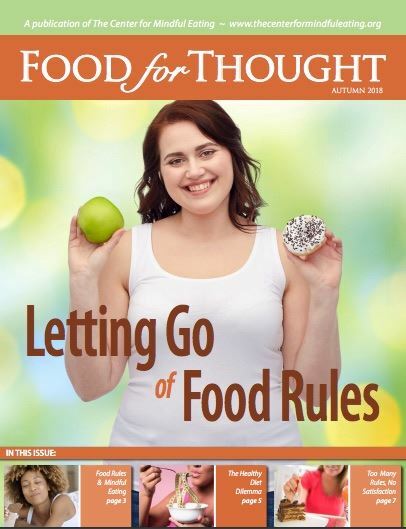 Food for Thought is free for TCME members. 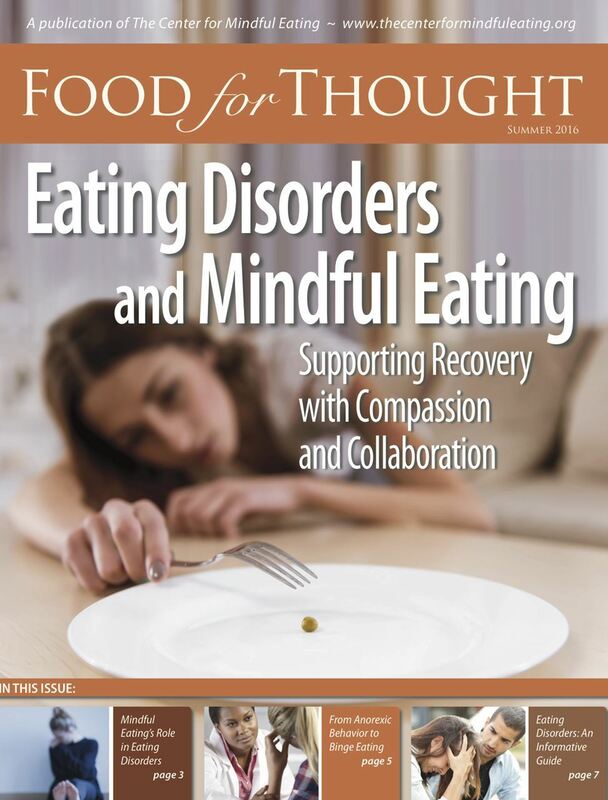 Integrating Mindfulness into Mental Health Treatment, Sharon Theroux, Ph.D.
Understanding Mindful Eating as Spiritual Practice, Lynn Rossy, Ph.D. 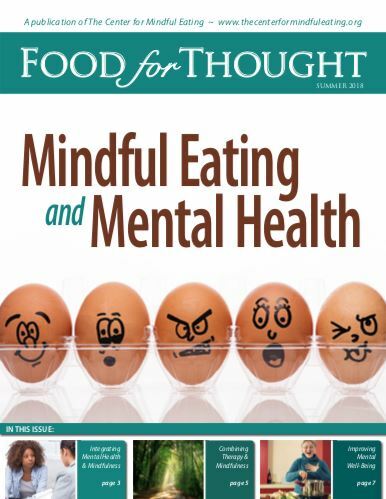 Emotional Superfoods: The Sublime Attitudes of Mindful Eating, Ronna Kabatznick, Ph.D.
Body-Image Shame: Causes, Consequences, and Resilience, Sandra Aamodt, Ph.D.
Educational Handout: BASICS of Mindful Eating, Lynn Rossy, Ph.D.
Plus: A Mindful Meal or Snack Meditation, Lynn Rossy, Ph.D.
Char Wilkins, MSW, LCSW: On a Scale of All or Nothing, How Anxious Are You?